Do you have a Website? Are you sick of low traffic? If YES, Then this article is for you. Read this carefully till the end. Keyword research begins with a word typed in a search box. It is one of the most important factors in search engine optimization. Proper keyword research can 10x your revenue. Website is not only for getting traffic but getting right visitors on site, this can be accomplished by proper keyword research. For example If you are waist trainer then you can target keywords like waist training exercises or waist trainers from keywords research. 1. Google Keyword Planner : No other tools can give an accurate answer than this tool. It is easily available at no cost. It is for advertising but you can use it for keyword research. You just need to type your product name or keyword, Google Keyword Planner will show you search volume, Competition, CPC etc. From this you can easily get idea of your keyword. 1. New keyword and group idea. To find perfect keywords you should find keywords which have high search volume and low competition as this type of keywords are easy to rank. 2. Ahrefs : One of the best keyword research tool after Google Keyword Planner but it is paid, you can get an annual subscription at 990$ for Lite plan. Ahrefs has a feature of keyword explorer, using which you can find a suitable keyword for your website. When you search for one keyword in Ahrefs it shows results for that along keyword with similar keywords in suggestion. 1. Thousand of keywords suggestion. Ahrefs has a unique feature of Keywords Difficulty Score. It shows that how hard will be to rank a keyword after seeing its keyword difficulty score. Read : How to start online business and get success? 8662883769 to get some discount. It has a feature of full research report where you can find LSI keywords to rank in search engines. It also help in finding long tail keywords. 4. Long Tail Pro: Its become easy to rank websites if you know about Long Tail Pro. It helps in finding long tail keywords which have low competition. If you are a beginner in blogging then I’ll suggest going with Long Tail Pro. As its saves huge time in keywords research and competitors analysis. 5. Keyword In : If you can’t afford Long Tail Pro then this keyword research tool is for you. This tool helps in finding long tail keywords for free. Its mashes all the keywords to form a long tail keyword. It is a very simple tool which takes few seconds to give you a proper result. 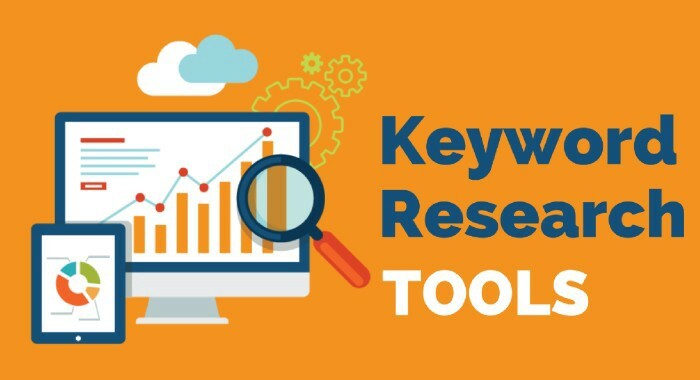 The above is the best 5 Keywords Research Tools in which some are paid and some are free. Experts can use Paid tools and for beginner, free keywords tool are mentioned.